IBM recently unveiled a new experiential exhibit at Innoventions at Epcot. 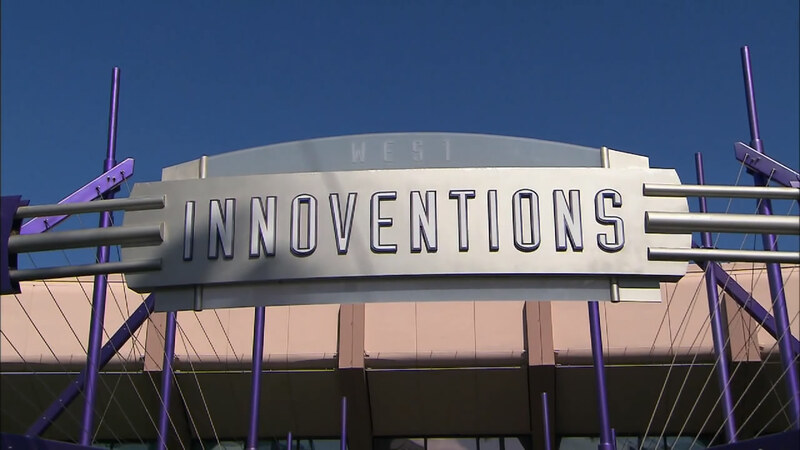 SmarterPlanet offers visitors to the park a “behind-the-scenes” glimpse of how technology is helping solve the world’s most complex problems – from reducing road traffic and city crime to improving food safety and local water supplies. 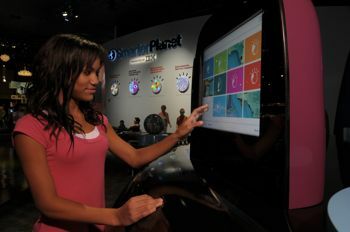 The hands-on interactive kiosks offer guests a “match” game that reveal smarter planet solutions in action. From the same kiosks, guests can take a poll on smarter planet issues and see how their answers compare to those of other guests. 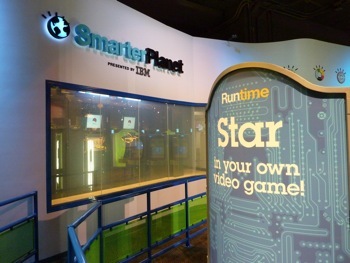 Guests are invited to star in their own video game at Runtime. Their first stop is a photo capture station. 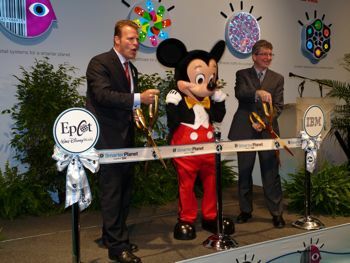 Here, guests run, jump, and dance as their image is captured to create a personal avatar. 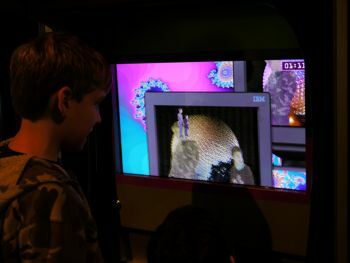 Guests then get the chance to play their customized video game and compete against the clock as they journey through a timeline of the history of computing. Runtime players also get the chance to e-mail their customized game and avatar to family and friends. 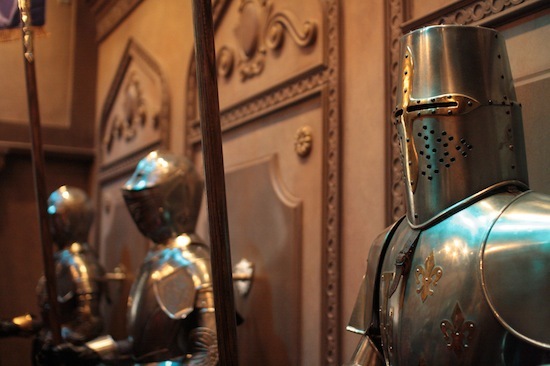 You may recognize this part of the exhibit, as it’s been in operation for just over a year. Through glass, guests can peek into a fully functioning and highly optimized IBM Smarter Data Center. 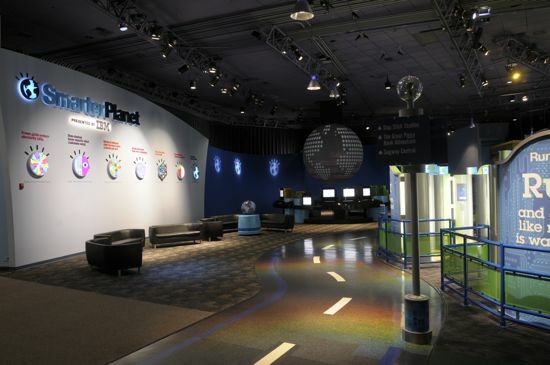 The Data Center is responsible for running the SmarterPlanet exhibit and also uses less energy than a traditional Data Center. 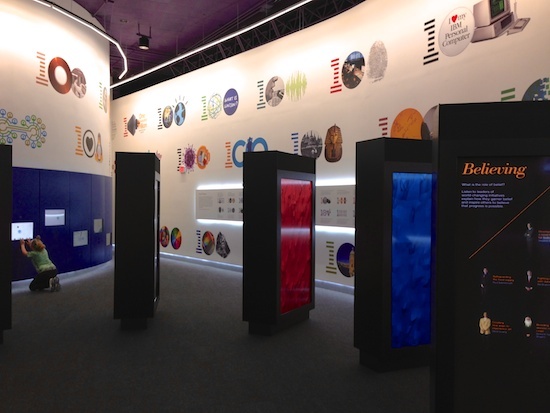 In addition, the Smarter Data Center donates unused computing resources to the World Community Grid to help in various types of medical, humanitarian and environmental research. This project joins together thousands of individual computers worldwide, establishing a large system with massive computational power equivalent to a supercomputer, thereby reducing research time from decades to months.